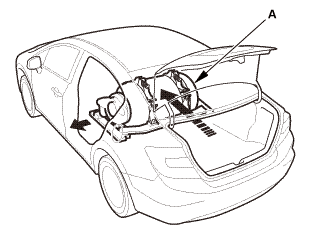 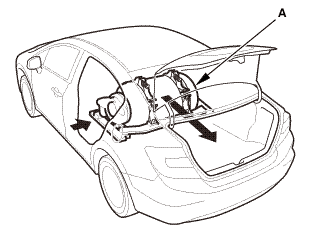 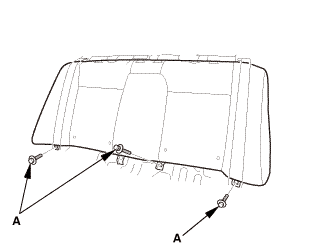 With the help of two other technicians, lift the frame, and slide the entire fuel tank assembly (A) into the passenger compartment from outside the vehicle. 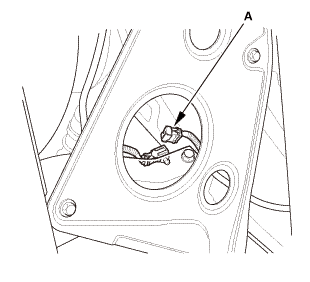 Be careful not to damage the fuel joint block. 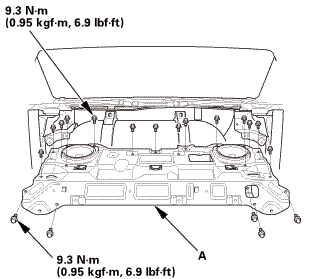 Carefully set the fuel tank assembly to the proper position. 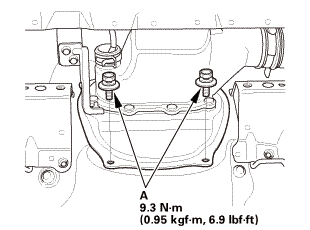 Install the tank frame mounting bolts (A). 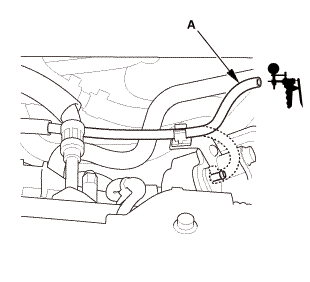 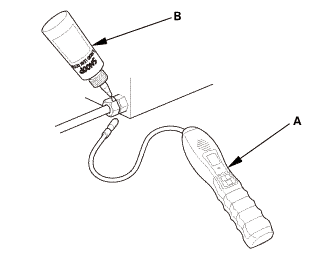 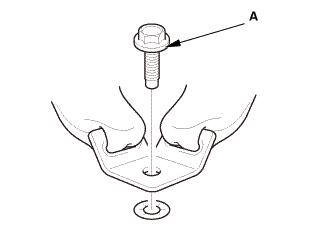 Connect the vent hose (A). 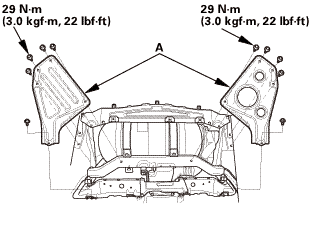 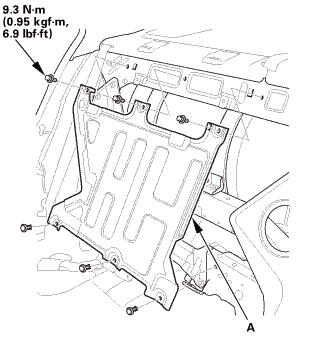 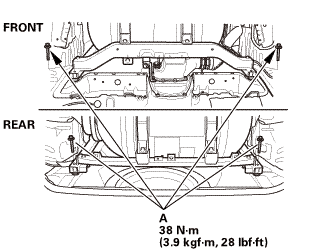 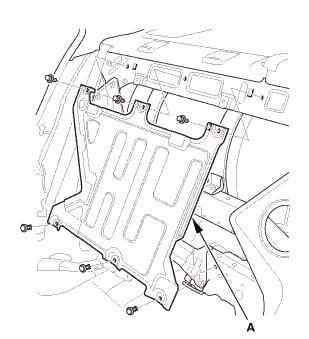 Install the rear floor upper crossmember gusset (A). 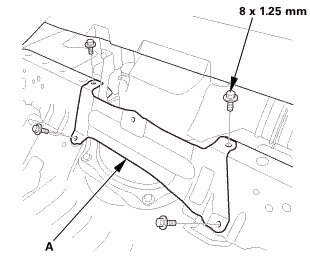 Tighten the bolts to the specified torque in the sequence shown. 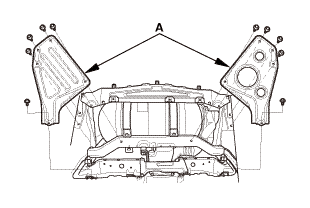 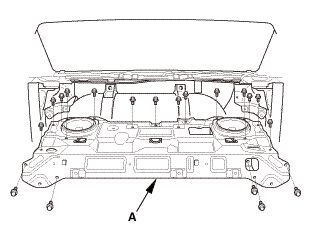 Install the rear parcel cover (A), and reconnect the speaker connectors. 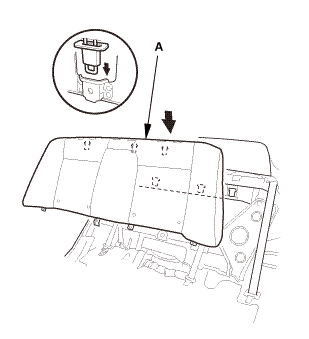 Install the fuel tank protector (A). 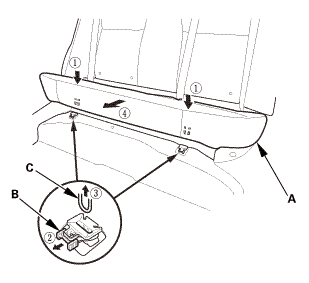 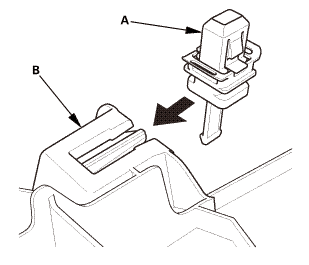 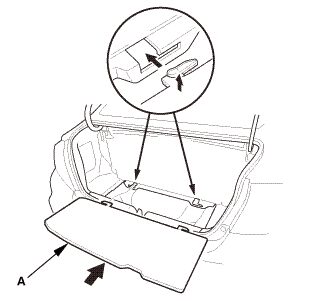 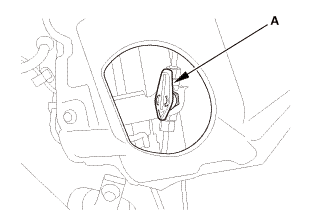 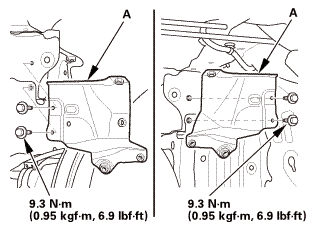 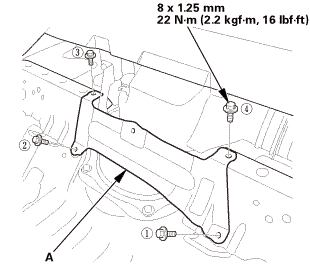 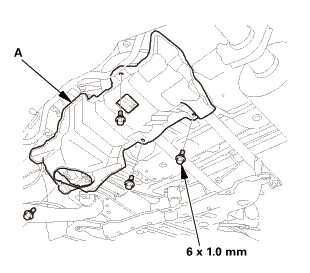 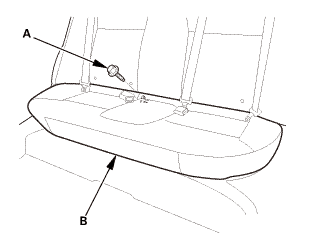 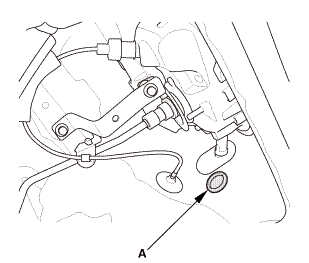 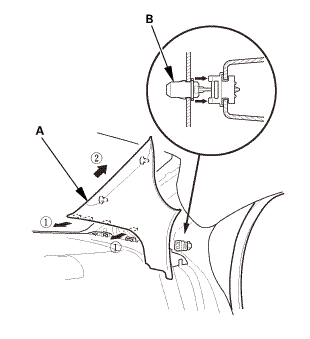 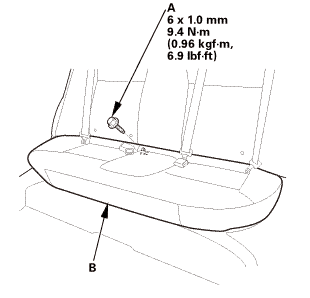 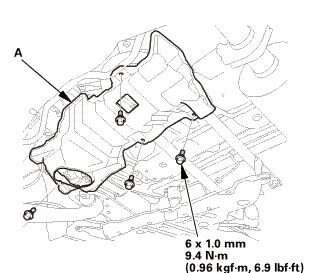 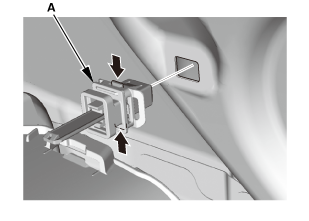 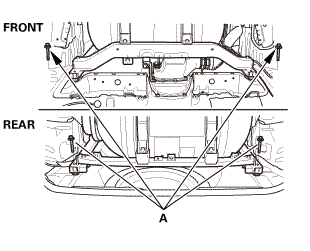 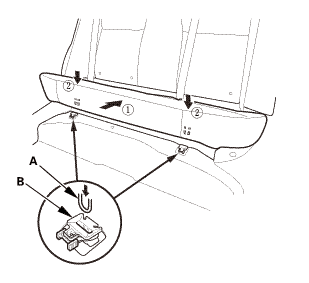 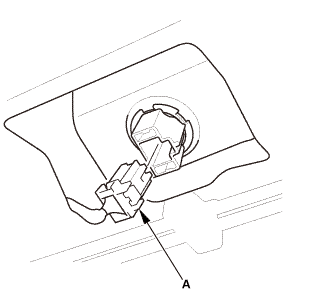 Install the center seat belt buckle bolt (A). 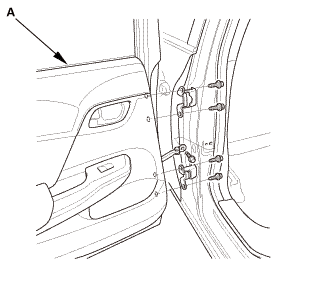 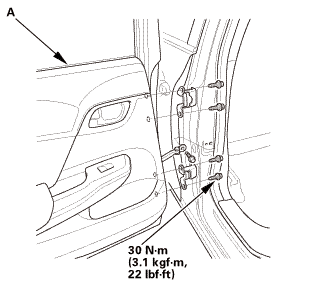 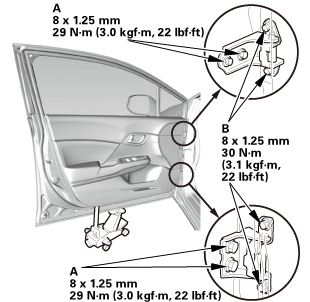 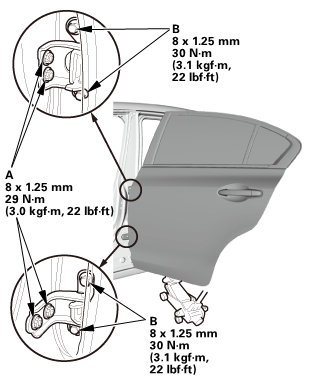 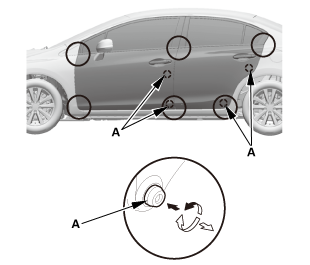 Install the left rear door assembly (A). 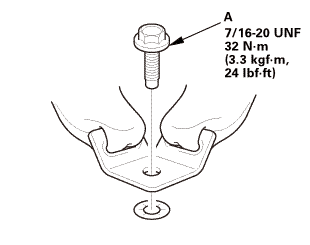 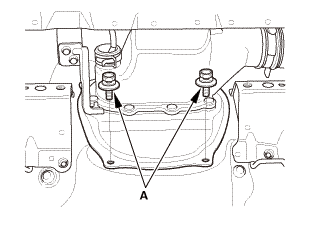 Install two fuel joint block mounting bolts (A). 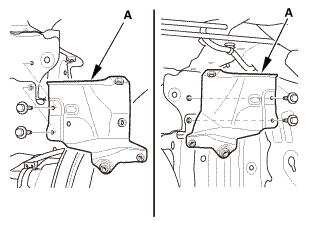 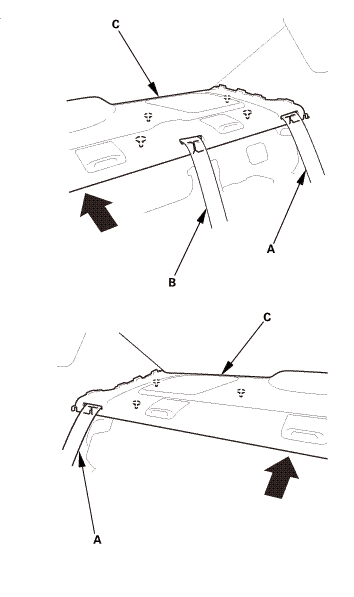 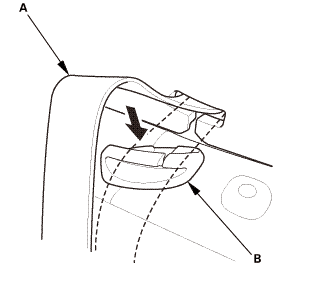 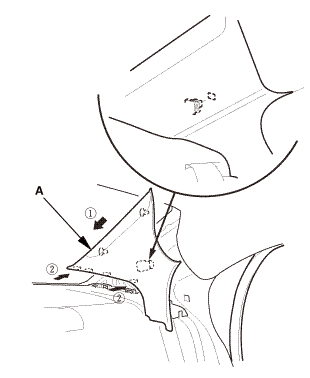 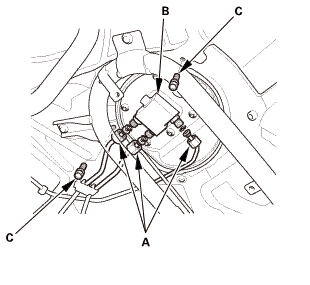 Install the three fuel pipes (B) at the fuel joint block (C). 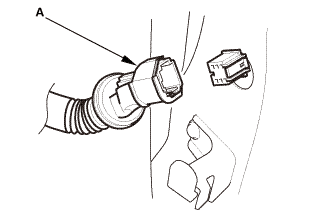 NOTE: Always use two wrenches when installing fuel pipe nuts. 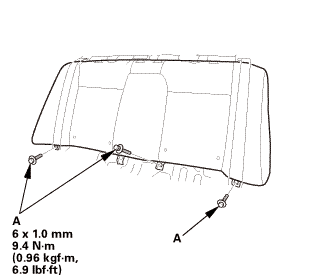 If a tank is empty, has less than 690±340 kPa (7.0±3.5 kgf/cm2, 100±50 psi) of internal pressure and is at an ambient temperature of 32 °F (0 °C) or less, follow the procedure below. 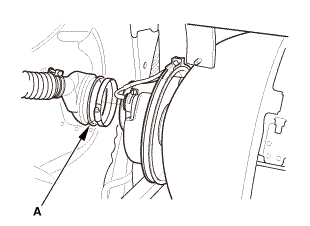 Otherwise, fill the tank normally. 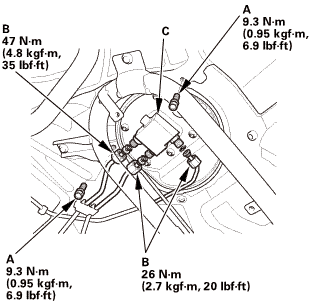 Fill the fuel tank to 4,800±340 kPa (49.2±3.5 kgf/cm2, 700±50 psi) slowly (from a compressor, not from a cascade storage system). 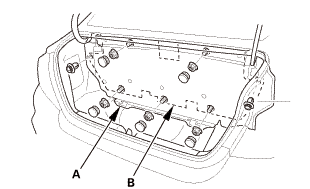 Fill the rest of the tank normally.